The most iconic of shotglasses. The classics are never out of style, especially at this price point! 1.25" x 1" imprint area. 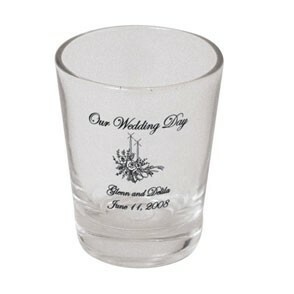 2 oz Clear Shot Glass that is great for bars, restaurants, gift shops or your own home entertainment bar. Advertise your company''s logo or message to make this a personalized gift. Please call factory for pricing above end column. Due to the ink system used on this product, PMS color matching is not available. $30(g) per color. If more than three lines change or logo changes, new screen charges will be applicable.